Mohammad Kaif (Hindi: ) pronunciation (born 1 December 1980) is an Indian cricketer. He made it to the national team on the strength of his performances at the Under-19 level, where he captained the Indian team to victory in the Under-19 World Cup in 2000. He can be both defensive and aggressive, as variable strike rates in Test and ODI cricket suggest. He was the one of the best Indian fielders at his time with great athletic and throwing skills. 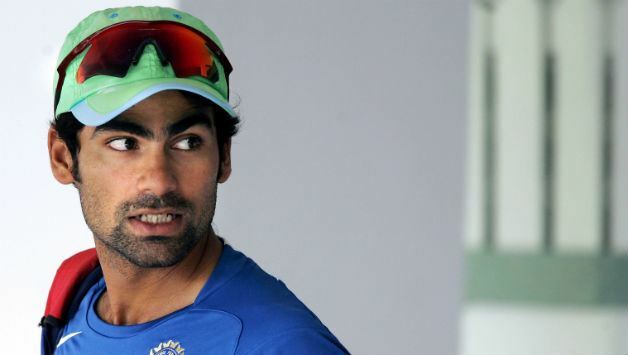 Mohammad Kaif was born in a Khatana Gurjar family on 1 December 1980 in Allahabad. He Started his Career from Green Park Hostel . His father Mohammad Tarif has played for Railways & Uttar Pradesh. His brother Mohammad Saif plays for Madhya Pradesh & Uttar Pradesh. Kaif married Pooja Yadav, a Noida based journalist, on 25 March 2011. Kaif made his Test debut in 2000 against South Africa in Bangalore soon after, and was selected in the first intake of the National Cricket Academy in Bangalore. His early international career was considered patchy, with the occasional outstanding performance backed up by ordinary batting. His most famous feat was helping India chase down 326 with 87* (off 75 balls) in the 2002 NatWest Series Final. The effort earned him his first Man of the Match award. In the series against Bangladesh in late 2004, he was named Man of the Series for his consistency in all the three ODIs. Kaif earned himself a Test cap against South Africa when he was 20. Although dropped after some ordinary performances, he made a good comeback to the Test side against Australia late in 2004 scoring two half-centuries. He is a very fast runner between the wickets and an excellent cover fielder; most notably his agility and throwing accuracy. He also has the world record of five catches in a World Cup match. The team management tend to use him in the middle order, though his successes have almost always come playing high up – at number 3 rather than at number 7. He tends to score big when given the time to settle. His usual position in domestic games and in county cricket has been number 3. But given the number of players in that mould, such as Dravid, Raina and Yuvraj, Kaif found it difficult to play at the number 3 spot on a consistent basis. With the arrival of Greg Chappell and Rahul Dravid being appointed captain, the number 3 slot was given to either Irfan Pathan or Mahendra Singh Dhoni to accelerate the scoring rate. In March 2006, he was recalled to the Test team in place of the injured Yuvraj Singh for the First Test against England in Nagpur. Despite top-scoring with a dogged 91 to save the Test match, he was omitted for the following match when Yuvraj had recovered his fitness. But he found a place in the four Tests in the West Indies, after Sachin Tendulkar was injured. He hit 148 not out in the second Test, his maiden Test century. Mohammad Kaif represented the victorious Rajasthan Royals in the inaugual edition of the Indian Premier League in 2008. He was bought for $675,000USD as an icon player. Even though he played in all the matches for the team, he had a poor run in the series, mustering only 176 runs at an average of 16. On 15 April 2009, he was axed by Rajasthan Royals team management, which cited his poor form and cost-cutting for the omission from the squad for the 2009 season. He joined Indian National Congress and contested 2014 Loksabha election from Phulpur in Uttar Pradesh, and lost to Keshav Prasad Maurya of Bharatiya Janata Party.